We’re super enchanté and excité to announce the latest smart product collaboration with apparel solutions partner Avery Dennison RBIS, NYC fashion brand Rochambeau and hybrid retailer-media company The New Stand. The New Stand is the idea group, media company and retail partner for Rochambeau garments powered by our #BornDigital™ partnership with Avery Dennison for on-product materials technology tied to our IoT smart products cloud platform. The product is called the ThinkingCap (http://thinkingcap.nyc) and, quite simply, it does what any self-respecting smart hat should do – it makes you smarter wherever you go. It does this by assembling a combination of curated content partnerships (art and literature podcasts, music connected with that location, audio walking tours, relevant local news) and contextual awareness (place, time, past interaction history), to help the hat wearer experience the world around them in a cleverer, mind-expanding and intellectually-stimulating way. Read about it in Forbes here. Rochambeau has made the hat the centrepiece of their new collection for the International Woolmark Prize, being judged in Paris today (Rochambeau won the US version of this prize last year). 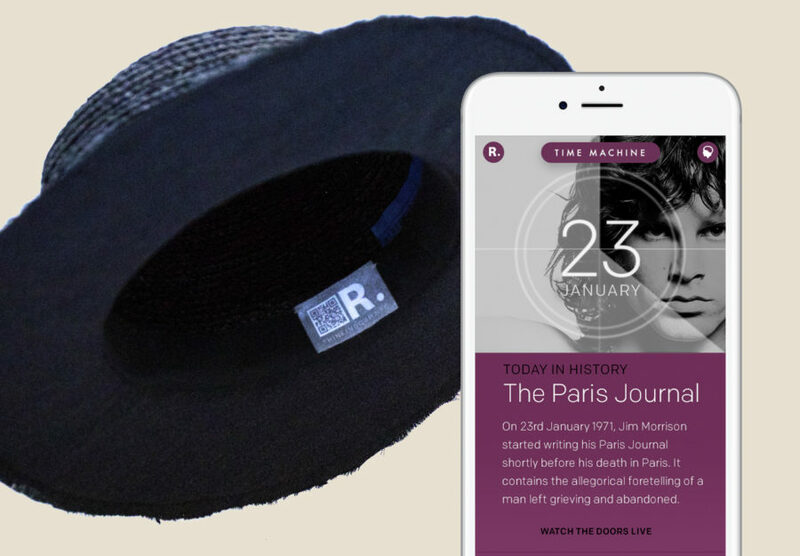 The hats contain a smart label with unique NFC and QR tags that will trigger information and entertainment experiences on a mobile web app when scanned. This can be accessed with any smartphone with no app download required and is designed for major cultural centers and destination cities like New York, Paris, London and Tokyo. Embedding a digital layer of personalized content and services within products is the future. Consumers have too many apps in their lives and it’s a hassle to find, download, assemble and manage everything we need. Why not just scan your product and it does it for you? In this sense, products are the new apps. 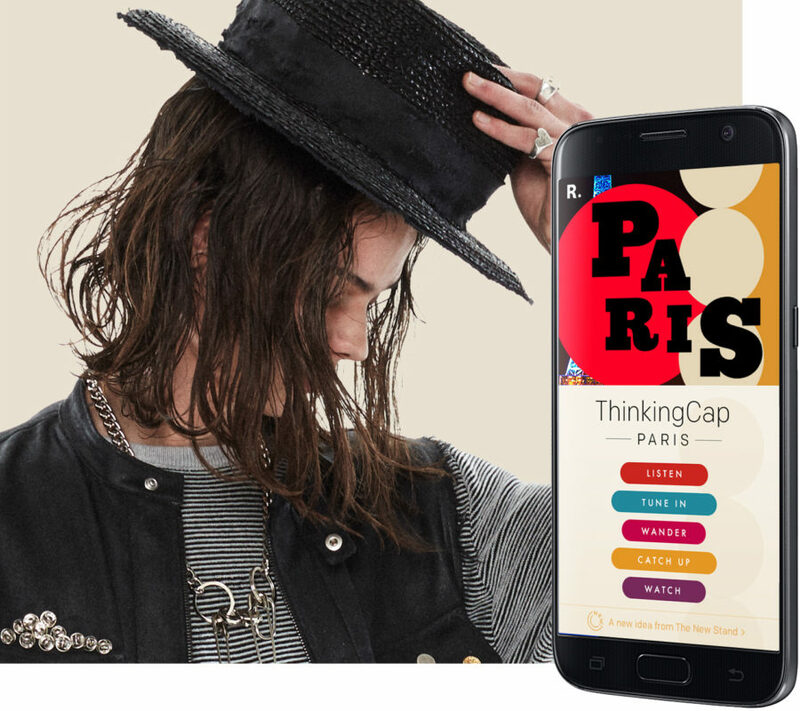 The ThinkingCap is another great example and creative visualization of how apparel products can now be #BornDigital with cloud-connected smart labels and tags. Once these smart labels are stitched in as the products are manufactured, each individually serialized item comes into the world with ready-made smart, digital capabilities that brands can activate to give the product its own digital life on the Web. This makes the product more intelligent, more interactive, more characterful and more trackable with valuable applications and analytics for brands and their customers. In short: wherever you digitally lay your hat, that’s your home.